I am engrossed in planning my school year, with Marzano's "Classroom Management that Works" book as my guide. Meanwhile, Doug Noon has created a great template for writing your letter to your Senators about DOPA. From my days as an aide in Senator Nunn's office, I will tell you that letters and e-mails do count. When I worked there, we kept tally sheets for all house bills and issues. We marked every phone call and contact on these sheets along with any notes and selected the letter that would be returned. We also passed along any letters of significance up "the food chain" to see if there was need for a more customized response. When voting came up, we provided the Senator with a tally sheet on what his constituents were saying. The point is, you need to get people to call, write, and e-mail their senator. Here is the directory of Senators. I remember in Robin Hood when Kevin Costner jostled a little boy who was practicing his archery skills. The little boy was perturbed and shot his arrow into the woods. Cocky Robin got up and got ready to shoot and Maid Marian said, "Let's see how you can handle distraction." As he shot, she quietly blew in his ear. His arrow careened into the woods. Whether the distraction is positive or negative, it is a distraction. The Marzano book and every smidge of research I've read says that the first day of school is the most important. That is when you establish your procedures and discipline. I am having to refocus from DOPA to keep my "eye on the bullseye" so to speak. Many teachers are in the same boat. So, copy Doug's letter, change your name and the Senator's name and e-mail it right now! Then get back to planning! Don't waste a lot of time constructing a letter that will not be read unless you personally know the Senator. Copy it and send it right now! Keep the faith and remember that teaching is a noble calling. Act like it! Hold your head up high and remember that the greatest things you will do in your life will be things for which you do not get paid. Wet cement is the only cement that will hold a mark. Make your mark count. Let it be for encouragement, hope, love, laughter, and learning. Never settle and NEVER give up! Children are a gift! Consider the lobster. When it is in warm water, it frequently molts its shell. A new, very soft shell grows underneath its new one. 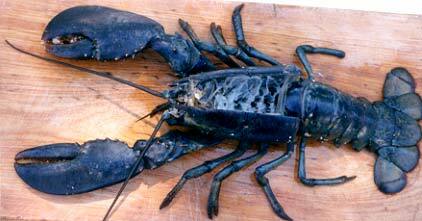 When it is time, the lobster begins to literally shrink as it expels seawater and the old shell begins to split. After going through this gruelling process, a lobster emerges with a new soft shell. With a soft shell, it must literally hid in its borough for one to two weeks or it will be easy prey for fish and other predators. Growth and molting are an important part of the growth process of the lobster with even the eyes of the lobster shedding their covering. Without molting, the old shell would become the lobster's coffin. Change is the only constant in our world. In America, in the warm waters of democracy and prosperity, things change rapidly. It requires us to shed our old modes of thinking and to adopt new methodologies and paradigms in order to understand the new world. We must understand, act, and adapt to the changes. We must comprehend the changes so that we, as educators and parents, can teach our children morality and ethics in light of the new societal shift. 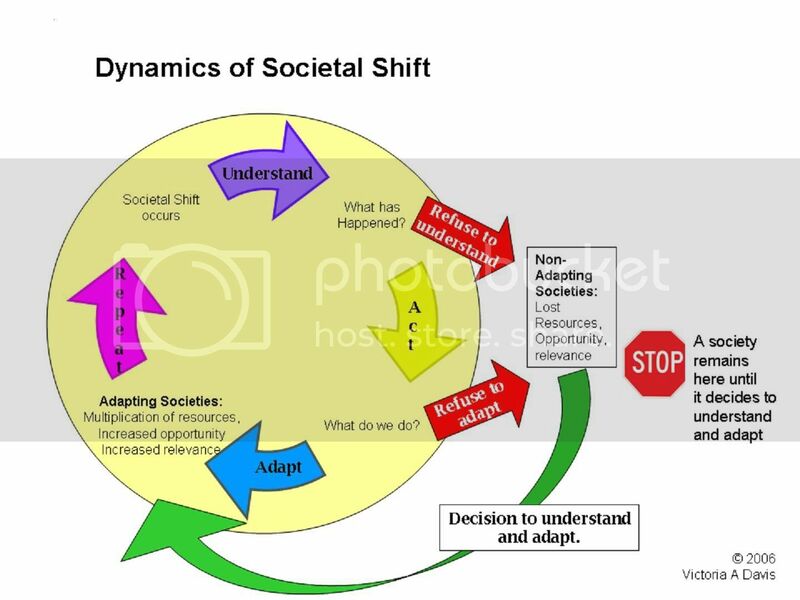 To ignore and refuse to adapt to the societal shift results in lost opportunities and wasted resources. Congressmen and Senators are extremely aware of the "New" Internet and honestly I don't think they like it. When Trent Lott became the first Senate Majority Leader in history to resign under pressure, they became acutely aware of blogs. Anything that takes the common person, like me, and gives them a voice, unnerves those who are in power and do not want to change and adapt. It also unnerves those who have chosen obsolescence as a mindset. In my parents' teenage years, they congregated at hamburger stands and drive in theaters. I remember them telling me that the parents used to complain about all of the problems there. My generation gathered at the mall or at local fast food restaurants after sporting events. Many liked to "drive around" in local spots. Again, parents complained. Today's kid doesn't go to the mall or "drive around" as much as they congregate online. That is where they converse. When we "drove around", the parents responded by having more policemen put on duty at the places we congregated. They were a safety net. Kids who want to "drive around" are going to "drive around" and the police kept away the problem folks. We should respond by creating visible presences of "online safety police" and reporting mechanisms for predatory behavior. We should respond by educating children and parents both at home and from school about the dangers. We should teach parents how to look up and monitor their children's myspace accounts. The traditional human orientation to neighborhood- and village-based groups is moving towards communities that are oriented around geographically dispersed social networks. People communicate and maneuver in these networks rather than being bound up in one solidary community. Yet people’s networks continue to have substantial numbers of relatives and neighbors — the traditional bases of community — as well as friends and workmates." Transformation is a process. Like the lobster, we can transform. We can molt and shed our old shell and create new methodologies of protection that work well with the online world. As an educator, I want to harness social networking to create online islands where teens share educational interests. History buffs, science prodigies, math talents, literature lovers! Students often rise to the level of those that surround them. If we want students to rise to new heights, we will create conduits for educational exchange. I fear that DOPA will derail these efforts for at least several years if not longer, depending on how the law is enacted. And that is just it. No one can count the number of sites on the Internet, how is a commission going to sort through every one of them? Websites and the Internet are a conduit and must not be confused with the creeps harming our children! Perhaps a telephone repairman should look at a bundle of fiber optic cabling and listen in on every phone call and cut the cables with offensive conversations? We wouldn't dream of it! It is not the cabling that is the enemy, it is the people on each end of the line. This is not about shedding morals but rather taking morals into a new online world through education. Our country must change, shed old ways of doing things lest our old ways become our coffin in a new society bursting to be released from its shell. Why isn't the IT industry screaming? More money to hire more bureaucrats. And as a result we have students and parents who are no more educated about living in an online world than when this all started. I have conceptualized my thoughts on how societal shifts occur and how we respond in my chart at the top of this post. I believe that we are bordering on becoming a non-adaptive society as Congress goes ahead with the DOPA act. Yes, all students must be supervised with school activities. Teachers should be allowed to supervise using RSS feeds from student created materials with the realization that when one deals with teenagers and technology that a "zero defects" result is unrealistic. Issues should be dealt with using an effective discipline ladder tailored to electronic issues. Discipline should include suspensions of student accounts, and alternative offline assignments. Students should be educated about information literacy, online safety, and online privacy and should be monitored by parents and teachers to make sure they are following such procedures. A mechanism for reporting online predatory behavior must be created with law enforcement dedicated to policing such behavior. Yes, we must teach children responsible, ethical use of new Internet tools in a way that will best allow students to succeed when moving to the real world. I would propose that all ISP's be required to provide free content filtration for parents as well as a summary printout to parents of websites that their children go to. This could be done and provided for school and for home. I do not think a child should use the Internet without some sort of filtration in place. Now, that is something that would help the problem! I also think advocates of DOPA should listen to educators who have their finger on the pulse of what is happening with children and understand that DOPA falls far short of providing a safety net for kids. In fact, ignorance is far more dangerous than supervised education. We must learn to adapt to the fundamental societal shift that has occurred as we begin to live online in ways that will protect our children today and their future success tomorrow. Fighting change for the lobster means death. Fighting change for us means being out of touch with the things we can that can really help our kids and keep them safe! As for now, I think the shell is tightening. Filter a website and protect a child for a day. Teach them online safety in a near-real world environment and protect them for a lifetime. Boase, Jeffrey, John B. Horrigan, Barry Wellman, and Lee Rainie. "The Strength of Internet Ties." Pew Internet and American Life Project 25 JAN 2006 27 JUL 2006. DOPA passed in the US House of Representatives last night 410 - 15. "The only way to protect children from online predators is to arm them with the information to protect themselves. In fact, probably the best place for kids to have access to these sites is in school where they can be monitored. Not to mention all the educational benefits that come from these sites these lawmakers are trying to ban. 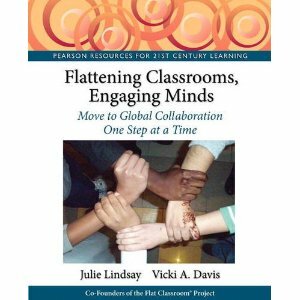 Wikis are the new way to do classroom collaboration. 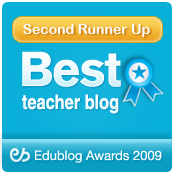 Blogs are the new way to do classroom discussion. So no, DOPA is not protecting the children, in fact, all it is doing is hurting them by continuing to promote the idea that ignorance is bliss. These kids are ignorant of how to protect themselves from Internet predators. These lawmakers need to ban ignorance not promote it." 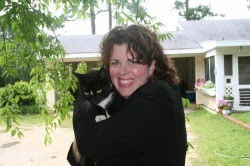 May 18 - If you believe in wikis, blogs, and edublogging in America, speak up! I think this is a classic case of ignorance. Kids as young as two are surfing the Internet on a weekly basis.1 Are we teaching them privacy, safety, and ethics? Most schools ALREADY block myspace which allows the school to ferrett out certain sites it deems unacceptable. They don't need Congress telling them to block it, they already are! What will happen is that schools will be blocked from using wikis and blogs, and other social networking technologies that are valuable educational tools! Do you know that many public school teachers cannot even read this blog? It is considered a social networking site and my blog will soon be banned in all public schools and libraries if this passes! What? I am encouraging and promoting good education and educators cannot read it. I wonder how many legislators have read a blog? I wonder how many have read a wiki? I find it interesting that Trent Lott was considered a casualty of blogs and that now blogs are on the hatchet list for Congress. I want my readers to understand something: I often vote Republican. This is not a partisan issue. This is an education issue. The Online Safety Act (OSA). This would be legislation that would promote online safety. We would look at the statistics for when students began to use the internet and would teach them lifetime Internet safety and privacy skills. We would create safe, anonymous reporting mechanisms to law enforcement where predatory behavior could be reported and followed up on. We would add teeth to the methodologies used by law enforcement against such criminals. It would be modeled after "Stranger Danger" education programs and "Drug Education" programs. We outlawed drugs, but drug use reducation only happens through drug education. We outlaw kidnapping but the only thing that reduces kidnapping is teaching kids about "stranger danger." We can outlaw social networking sites (and get rid of some very useful teaching tools), but the only way to prevent identity theft and predatory behavior is to educate children. That is how we will reduce victims! That is the only legislation that will truly make a difference. For now, we are promoting online ignorance. Ignorance breeds victims. Knowledge breeds safety. I am saddened that legislators are making such a mistake. My students have been calling me asking what they can do! They want to go to Washington! They see the amazing blogs and wiki that they are participating in being limited to only America private schools! How sad! Fortunately, I teach at a private school and this legislation will not keep my students from using these sites. Unfortunately, those who want to make public schools more competitive, are putting another nail in the coffin. Sadly, I learn so much from my public school counterparts and will miss their blogging, their sharing of best practices, and their student participation with my students. They are going to be left out of the cutting edge of educational innovation. We finally had tools to bring America together! And a wedge is being driven in again. Remember, that I am an advocate for eradicating predators on myspace. You do no eradicate predators by sending naiive, uneducated children home to myspace at midnight. You teach them privacy. You educate them. I have been frantically working on a book this summer: Safe Online Success. I wish that I could print the first several chapters here because it is needed. Unfortunately, I probably won't finish until the end of September and that may be a little late. I have already completed the first four chapters and propose guidelines for online education. Right now, I'll be self publishing, but have been encouraged by my editors to submit to a publishing house. We'll see. For now, I'm just in shock. I'll have to get my thoughts together and post more later. If you don't know where you're going, how will you know when you get there? Planning is vital to good teaching. If you are a teacher that cannot seem to get it all done, you probably don't have a year long plan. Planning is not just daily, you have to start with long term planning. With my business background, I learned that we needed a strategic plan (3-5 years or longer), a tactical plan (a year or less), and a short term plan (the month.) Then, those of us in departments would take the goals for the month and translate it into what we would do daily. I am a HUGE believer in effective planning. Schools should plan, departments should plan, and classrooms should plan. They should fit together. Those who plan up front sometimes look like they are coasting during the year. Actually, my daily and weekly planning requires much less cogitation because I know where I need to be by looking at my longer range plans! Plan for the year - I have a month per page calendar that I duplicate for each class. Prior to the school year starting, I create my "plan." I look at SAT dates, major school events, holidays, etc. and plan where I think I should be at that time. I look at last year's plan and actual lessons. This is done in pencil and I keep it by my desk as I plan each week. This plan serves as a litmus test to show if I am on track. If you don't know where you're going, you'll never get there. Plan the tool integration - If students do not know how to blog or wiki or podcast, I integrate that on a phased basis, and never all at once. It is like building a pyramid. You build the base and then add more. Once they've mastered something, we'll use it as a part of their weekly assignments. Many issues arise when you start blogging or wikis or podcasts. You need to space them out to give yourself time to make sure all of their usernames work, etc. If you don't do this, you'll scare and confuse them very early. Plan the rewards - It is important to have something to look forward to. I make sure that I have at least one exciting thing per semester that the kids will look forward to. I also plan ahead for speakers, demonstrations, and trips. Plan the paperwork - I look at each class between day one and the next teacher work day. I have a hanging folder for each chapter of each book I teach. In that hanging folder I have all of the handouts and information that is needed for that chapter. (I keep answer keys at my desk.) I find out how many students I have for that class and make sure that I have enough of each handout that I think will be used until the next teacher workday. When I am ready to start a new chapter, I put the old hanging folder back in the class drawer and pull out the next chapter. I keep the current hanging folder for each class in a bin at the front of the classroom. Each class has a color and is color coded so it is easy for me. Plan for projects - I "begin with the end in mind" and look at the portfolios that are due at the end of the semester/ end of the year. I look at each piece of the portfolio and put it at the appropriate place during the year. I make sure to tell students when this is something for their portfolio project. I also plan time to work on major projects. I work with the English department to teach MLA format to 8th graders when they have a major paper due. I work with the English department for the 9th graders to create a PowerPoint from their papers. I plan time for term paper work for juniors and seniors. I plan a project that can be finished early during Junior Senior week. I plan the SAT prep program when there is an SAT that doesn't conflict with sports events. These things don't just happen. I sit down with other teachers and MAKE them happen. Plan for sanity - I now when I will be averaging grades and when students will need to be making up work. I plan for a project the last two days of each grading period to give us flex time to make up work. I run a tight ship with an aggressive curriculum, but I've got to live in this profession, so I have to learn to pace myself. I posted this Monday post on Sunday, I'm not sure if came through your rss reader early or on time. I will be out for a few days and will see you back here on Thursday! Yesterday, I started my ponderings of the three principles that I use in my classroom. First, was setting the pace. Today I'll talk about establishing the flow of people, paper, and information. Tomorrow I'll cover establishing the plan. I hope you'll take time to read the comments on these posts, I'm impressed with those who want to contribute to these thoughts with some very important points. I hope you'll share your insights as well. People flow - When you look at your room layout, you should think about how students will enter the room, turn in their work, receive papers back, and exit the room. Are the bins to hand in work near the printer? If the textbook stays in the classroom, is it to be put on a shelf near the door? Peer tutoring - Establish a peer tutoring system. Students are responsible to help their teammates. I clearly explain what is helping and what is cheating. My sacred rule is that no student is to touch another student's mouse. They can demonstrate it, but must never DO it for their partner! This neutralizes "helpless handraisers" and those who use you as a procrastination tool. (I can't do anything until you help me!) If you are teaching computers and don't have some sort of arrangement such as this, you will be worked to death. Also remember that the highest level of learning is when you can teach another person. By teaching their peers, some kids can come into the spotlight that may not shine in other places. Teams - I tell students that we will try the teams/ partners for a week, and I'll make adjustments if I see any issues. If someone has an issue with their partner, they can turn in a note to me in the box where they turn in their papers. When I switch teams during week 2, I make adjustments as necessary. I typically have Semester 1 partners and Semester 2 partners. If I've never had the student before, I sit down with prior teachers and have them help me create the chart and partners. Paper Collection - For computer fundamentals and keyboarding, I have a team responsible for paper collection. For keyboarding I do this weekly and fundamentals by the lesson. I have a form called the "production control form." On this form, I have each student's name, a column for attendance, and a column to check off whether the lesson has been turned in. The team initials, clips it and turns it in and the end of class. It is their job to note if a student left early, or other special things (eg. computer 2 wouldn't print today.) This serves as a great record to double check my attendance and notes to refresh my memory! Proofreading - In Computer Fundamentals, it is each team's job to proofread the lessons of their peers. I give them an answer key and they are to mark the things that are not correct for their peers. Each student has until the end of class to get their work as close to perfection as possible. This one method is the one of the greatest things I've done in my Computer Fundamentals class because it makes sure that mastery occurs on the day that the work is done. I have had no problems with cheating because of the "Hands off the mouse" rule. I implement this later in the year for keyboarding. This teaches proofreading skills. I give the "proofreading" team a grade on their proofreading abilities. If they have signed off on someone's paper as perfect and it wasn't, I count off 1/2 point for each error I find that they didn't catch. Information flow: How will students know what is for homework? Paper flow? How will they know what their grade is? When am I available for help? When will they be responsible for teaching? How do we save files? Post the URLS on places you will go on a poster. There are so many things about flow that you have to look at. It is easy to get your room clean and organized before school starts. If it remains organized, you are managing your flow well. It is this area where I failed miserably my first year. I am getting better at it, but it takes effort! Stuck in downtown Camilla rush minute traffic yesterday, I pondered the beginning of the school year. The one frustrating thing about teaching is that sometimes you feel like you're putting your hand in a bucket of water... when you take your hand out, you don't see the mark. It is a very "what have you done for me lately" profession and each year we start over. But we cannot be discouraged! Nature gives us insight into our profession. 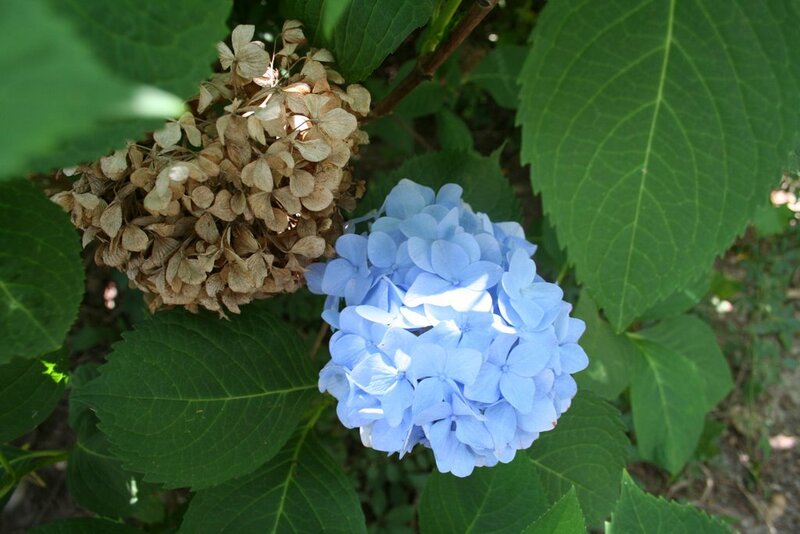 If you look at my beautiful hydrangeas, last year's bloom is still is a reminder of beauty. Although it is brown and faded, it is still lovely in its own regard and a reminder of how well I watered and fertilized the plant last year. It is like the last school year. I have reminders of how great things went in the past. But also like my hydrangea, the most beautiful creation is this year's new growth. Teaching is very much a present profession. The greatest gifts of teaching are accomplishments in the present moment. The breakthrough, the unreachable kid who was reached, the life that was changed. Those are the presents that last in our minds and hearts. Good teachers in some ways are like adrenaline junkies, always longing for the high that comes from reaching just one more kid and having just one more breakthrough. As I ponder the beginning of this year, I think of the advice that my mother, a 20 year business education teacher, and my sister, a 15 year middle school gifted certified teacher, gave me when I began teaching four years a go. My practices hinge on their advice to: set the pace, establish the flow, and establish the plan. I will post a four part series on this. My Mom always says, "You can never be tougher than you are on the first day, first week, and first month." Although students may have had you as a teacher previously, each year is different. I'm ready - I am waiting for them at the door. This is my turf - I give each of them a card with their assigned computer number and their textbook. Giving an assigned seat sets the tone and splits up problems before they happen! I care - I greet them by name and make eye contact. Information card - I have them fill out their information on the card including birthday, parent names, e-mail addresses, etc. Paperwork - I cover the discipline and acceptable use policies and send them home to be signed. This is their first grade and if it is not turned in the next day, I call or e-mail their parents. How is the class structured? I talk about the work flow for that class, handout team lists, grading scale, major projects, my expectations and point out my homework board that is on a white board at the side wall. Why should they care? We talk about why the subject is important. As with most things, I do this by asking questions. Examples: "Who knows what accounting is? Why is it important?" If it is an elective, "Why are you taking this class?" Something cool - I always show or mention something cool that I know they don' t know about and leave them hanging. This is important, because I want them to go home and share something cool with their parents on the first day. If you can get kids excited early and positive "buzz" going on with the parents early, it will serve you well. Don't be a used car salesman. I NEVER say: "this is going to be easy", "this isn't hard," "you'll like this class" or "we're going to have fun." They can decide for themselves. These phrases come back to haunt you when you're in the throes of that tough project. As much as I believe in harnessing fun as a tool in the classroom, let them decide what's fun. There's nothing worse than being sold a bad bill of goods on the first day. Discipline - If I have a discipline issue, I deal with it firmly, immediately, and appropriately. I follow the discipline ladder. Usually, I only have one or two discipline referrals the first week and one or two the remainder of the year. If you "let it go" the first day or week or month, kids will expect you to let it go the rest of the year! Tardies - On day two, I close the door when the tardy bell rings. Students are not allowed entry until they bring their tardy pass from the front office. I start teaching at the moment the bell rings. They have to learn early that they need to be in their seat, ready to go. Bell Work - I am a huge believer in bell work. If they get in socialization mode, it is so hard to get out. I hand them something at the door, or have something on the board that is to be done as soon as they get in their seat. I have bonus tickets for +5 on the lesson of their choice (keyboarding and fundamentals). These go daily to the first one or two people in the room who have started their work. I do this daily for four days and then intermittently throughout the remainder of the year. Partial reinforcement is a powerful motivator! Don't just discipline the wrong, incentivize the right! On tests, every discussion question is a potential bonus question. If I ask for 5 items but there were 9 they could have learned, I want students who learned all 9 to benefit. This creates incredible mastery and increases the level of excellence in the classroom. It also helps those who may have studied the "wrong thing" to show their expertise. Tomorrow we'll talk about establishing the flow: people, paper, and information. I hope some of you will also share your thoughts here. Some high school kids 30 minutes up the road from me are about to be famous.. very famous. In less than sixty days their movie will be released in 400 theaters nationwide. Facing the Giants was made famous mostly because of its PG rating. The author/directors/star, brothers Alex and Stephen Kendrick, expected a PG rating because of the football scenes and a frank discussion of teen pregnancy, but instead, it was handed down for religious content. This made the news, but they haven't fought the rating, although many outspoken people have. But this is not about religion. This topic belongs on my education blog. Let me tell you the story of this film first. These two brothers loved to make movies since they were kids. "These movies were designed to be fun, but they drew people in and provided opportunities for ministry," Alex says. In 2002 Alex and Stephen read a national survey that said that movies and television were considered to be a greater influence on culture than churches or religion, so they started making movies with a message. Their first movie, Flywheel, received some success. It was made with $20,000, volunteer actors, technical apparati made from parts at Home Depot, and catering by Sunday School classes. After massive local success, the movie is now carried in Blockbuster nationwide. Armed with knowledge, and a passion to make movies with a message, the brothers wrote Facing the Giants about a football team with a six year losing streak. The church raised $100,000 to bring in five professionals in sound editing, and other areas including the master of photography, Bob Scott, a camera operator for such films as the Replacements, Any Given Sunday, and Friday Night Lights. The actors were volunteers. Catering was by Sunday School classes. All of the proceeds will go to a $2.5 million dollar, 40 acre youth recreational park for the community of Albany by the church. Provident Films, a joint venture with Sony pictures, will release the movie in 400 theaters after test screenings received rave reviews. I tell you this story to make a point. The educational classroom has evolved little since the pioneer days. Chalkboard, teacher, podium, hard uncomfortable desks. For over 150 years, that has been our educational delivery mechanism. Here these men are making a message relevant to the masses. People who wouldn't darken the door of a church are responding to the movies. Education fails when it is not engaging and relevant. In third world, industrialized countries, the students expect and can be made to sit in desks like robots. They can have three hours of homework. Education is the way out for many students. It is hope for many. We bemoan the fact that America is slipping in education and seek to emulate the countries who are leading us. There is a significant flaw in that. Cultural differences can be significant. To expect a child in India to behave exactly like a child in Japan or China or America is not a correct assumption. This is not to bemoan the shortcomings of America or any other places. Shortcomings or strengths, cultural differences must be accounted for in teaching delivery methods. America does have a culture of entertainment, television, X-boxes, computers, and personalized everything. We are who we are. Do I agree with it? Not entirely. But when I stand in front of a room of wriggly teenagers and look to educate them, I must understand the culture to which they belong. To pull them from their electronic culture and sit them in a pioneer-model schoolroom would be like putting me under a tree sitting on a rock with Socrates. (I think I'd rather drink hemlock than sit on a rock all day!) I could learn from Socrates but I would be distracted by the rock! What do adults want when they learn? When I educate adults, they want comfortable chairs. They want a drink in their hand. They want a candy dish on the table. They want to have a stretch break every forty five minutes or so. They want to be allowed to interact sometimes. To break things up, they want to laugh a little. When I combine these things with some knock your socks off information that will change their lives, I have a great learning environment for adults. Why should kids be different? What makes us think that kids are any different? They need comfortable chairs. They need to be able to have a drink, to stretch, to interact, to laugh, and to learn. They need their lives changed with knowledge! What would happen if kids were put in the movies? What if we wanted a whole school to truly understand the Revolutionary War? What would happen if the school decided to make a movie about the Revolutionary War? What if the kids researched the costumes and the characters? What if they worked on the plot? Perhaps it would not be a nationwide released film. Perhaps they just made one to show the next ten years of students that followed them. It would be a life memory. It would be an amazing experience. It would teach and the kids would remember it for the rest of their lives. Parents would watch it and talk about the content with their kids. The whole school would be engaged in the process. I don't know the answer to student engagement. I do know that it is time for the classroom to evolve. I praise the parents for buying these boys (now directors/ authors) movie cameras. I praise the college professors for allowing the boys to turn in video instead of term papers or exams. Why don't we do that at the high school level? Doesn't it require a student to synthesize a topic to produce a video on it? Video is a new medium for the masses. We teach composition. We will reach the point we will all need to know a little about communicating over video. Our faces and voice will be transmitted around the world and we will need to speak clearly, succintly, and engagingly. We will share information around the world. The media is evolving. The movies are evolving. Education is evolving in revolutionary little pockets of people who don't know any better and just care about teaching kids. I don't have any best practices on this one. I have a lot of questions. As you know, the cruise I took has me questioning a lot of the status quo. Again, I will tell you. I am NOT for weaking education. I graduated first in my class from Georgia Tech and from high school. I say this not to brag but to say, education and information is important to me. Learning a lot is important to me. And now good teaching is important to me. This is a brand new day and many educators are still snoozing in their kerchif with the sash down at the window! We must ask questions. We must learn. We must evolve. We must measure. We must study. We must look at entertainment, movies, and television with a raised eyebrow as we lust over the medium's power to convey our message and help us be better teachers. We must not allow education to become irrelevant! Too much is at stake. We always sit one generation away from illiteracy and ignorance. I believe video making is another effective tool in the hands of a good teacher! I haven't been posting much because I've been "living" at the school (8 - 5 and 6-9 daily) trying to put in a new lab, get all of the teachers set, and get myself set. I have received confirmation from the folks at GAETC that my workshop proposal has been accepted. I will be teaching "Easy and Engaging Teaching Using Wikis" on Tuesday, November 14th from 1- 4 pm . We have room for 20 people and I hope there are some educators who are interested in wikis. SDU credit is available for participants. I am excited about this workshop and plan to model the wiki teaching method in the class. As a product of the class, we will produce a great wiki for educators about how wikis can be used in the classroom. I also plan to have each participant create their own wiki to take back to their classroom. Of all of the new tools I've used, I adore wikis. They are engaging and they create experts in a very short amount of time. I will be interested to see if other Georgia educators can pick up on the power of wikis. As I put my brain on autopilot and sailed off on a Disney Cruise, the last thing I expected was to learn something about education, but my classroom will be different because of it. Why on earth would my kids join a "lab" at sea? "Don't they know anything about kids, Lab sounds too much like school and they don't want to do school on a cruise ship." However, it was aptly named "Lab." When I arrived the kids found an incredible computer island, a wall of microscopes, an animation center, video games (many educational), three televisions with comfy beanbag chairs, and stations for building and making things. Fun music played in the background and the areas were lit with varied and appropriate lighting for the activities taking place there. I checked them in, put on my pager, and expected to receive a call from them in minutes. The call never came. They loved the learning activities. Even my five year old was incredibly entertained (and educated) during his time at the club. I felt a little guilty sitting in the top deck coffee shop drinking my latte and reading a book. I checked on them every hour for the first day until my comfort level was up. It was good that I had some time to cogitate because this really blew my mind. Here are some things I took away from their program and the whole experience! 1) A good Education can be entertaining. Prudish educators will glare over their half glasses at my post on this one! I don't think entertainment is an expectation. However, if I think about it, the classes I've loved most in my life were fun. The professor or teacher was animated and in love with their subject. Sometimes their classes would border on the theatrical. I enjoyed what I was doing and saw value in the subject. I was invigorated with new ideas before during and after class. I was engaged! I'm not talking about dumbing down lessons. If you've been reading me for a while, you know that I believe in an EXCELLENT education. Entertainment and education are not mutually exclusive. I don't like the term "edutainment" because it was tagged on many marginally good video games with little educational value. How about entertaining education! 2) Cleanliness habits are easy to promote. I was so impressed. They had big tubs of sanitizing wipes with a crew member asking each person to use them. As I entered all dining areas, we all were given these wipes to wipe our hands and then toss in appropriate receptacles. For the kids it was even more often. They used them before eating, after eating, and after walking through the ship. They did this pretty much during every transition in addition to hand washing at appropriate times. I teach keyboarding and computers. I am going to purchase big tubs of sanitizing wipes and have them wipe their hands as they come in the room and return from the bathroom. I have noticed in the past that some people using the same computer would be out sick on subsequent days but never really put it together until this weekend. This is important and I will do this religiously this year. I'm going to promote using a similar system in the lunchroom. Think about it. We are having them wash their hands before going to the lunchroom, but how many surfaces do they touch on the way there? Community door knobs, halls, poles, noses, mouths, etc. And when children leave, they have just spent thirty minutes touching their mouths. They are going to touch so many surfaces as they leave including those that kids with clean hands entering the room will touch. They should also clean up after lunch. 3) Safety - Where are the kids? My biggest concern about having my children in an onboard program was safety. I was very impressed. The children checked in with their "key to the world" cards that were swiped and then filed. The computer then marked that they were there. To check them out, the staff swiped my card AND I had to give them my secret word. The children's cards were then swiped. The system could give them a list at any time of what kids were supposed to be there. If they were checked out, they knew by whom and at what time! They used tablet PC's and magnetic swipe cards. I also was issued a pager and the children or staff could page me at any time with a text message or a request to come pick them up. As the children (or should I say students?) went through the ship, a person responsible for tracking them went with them in addition to the "teacher." They were positioned at the sole entrance/exit and when the group moved, they walked at the end of the line with their tablet pc. As soon as they arrived, they set up at the door and were effectively the "guardian" as they checked the cards of anyone leaving or entering the area. I was impressed! We are going to look at some sort of arrangement like this for our church activities. I know some schools use similar set ups. It just makes a lot of sense. It would also make sense for field trips. No more, "who's on the bus" and counting heads. With each kid swiping their card, you'd have a list of whose with you and who is not. After sporting events, you'd know whose parents had checked them out and who was supposed to be riding. Attendance - Tardies are handled! I'd love to hear from someone who is using this now! 4) Changing scenery is a powerful tool. I expected when I checked them into the lab that the kids would be in the lab the whole time. However, all of the kids moved throughout the ship. When the teens were not using their area, the 8-12 year olds would be having a "class" in there. The kids had a "change of scenery" during the day at least every hour and a half and sometimes every forty five minutes. In school, what if Class A has a really "cool" reading corner? Why can't Class B come visit Class A's "reading corner" while Class A is at PE or lunch. Why are kids so much better at the beginning of the new school year and semester? They aren't bored. They aren't used to their surroundings. Things are still "cool." When routine sets in, minds wander. We should break up the routine. What are the coolest places in the school? Who has done a good job with an area? That area should get used by a variety of students. I know this turns over the turnip cart, but it makes a lot of sense! Why do kids love the computer lab? Because they don't get to go there every day! Change the scenery sometimes and reengage the learner! When I have something important to talk about, or I want the kids to think, I take them outside. After teaching my ninth graders about goal setting, I give them a goal setting sheet. We go outside and sit on the grass or they lay down and look at the sky. I talk a moment and then let them find a place for 15-20 minutes. I ask them to set goals for their high school career. Many of them tell me that they changed the course of their lives as they pondered alone and looked at the clouds. 5) New tools of engagement: put kids on stage. I was fascinated as my mind opened up to new possibilities. I watched my 5 year old on a mini stage with a microphone as he was being shown on tv. The other kids were sitting at circular loungue type tables as they snacked and watched him on stage and on the TV's mounted around the room. Each child 4-6 years old had a "talent" to show. Kids love an audience, a stage, and a mike. What if we had similar set up at school? Kids would mount a small (6" high) stage with mike in hand to deliver their book reports, memorized poetry, etc. TV's or mikes would capture the performance in either audio or video format. It could be republished on the school intranet to share the learning. Podcast and video equipment would be centralized and classes would rotate through the area like a lab. They could sit at small tables and take notes or eat a snack. Disney called this "Studio Sea," I'd like to see something like a "Studio See." This type of arrangement is what needs to happen to harness the changing dynamics of society as students become teachers of themselves. We saw three shows on the ship, two of which moved almost every member of our group to inspired tears. Using Disney characters that everyone knows, their "Golden Mickey" night used such superstars as Whoopie Goldberg, and Tim Allen to converse with a cast member about people such as Walt Disney who had a dream, experienced failure, and pursued success. I felt renewed and excited as they ended the show with the words "Find your dream and make it fly!" My dream is to become an author and I've been working diligently on a book this summer. With all of the work on this book, I needed this encouragement. My children were agape and quiet for the one hour show. We were all entertained but we all got "the message" and left changed people. Sky Captain and the world of tomorrow (to teach animation, CG, and green screen technology.) Documentaries from the Matrix (Bullettime innovation) the new Star Wars trilogy (CG and model building), and the original star Wars (how they built models on ping pong tables and drove by with a golf cart) to teach the process of innovation and that many times answers have to be created. Clips from the three Lord of the Rings trilogy to teach about how one must overcome difficulties and that life is hard sometimes. I've even used a hilarious Saturday Night Life clip with Mike Myers to help my kids relax before the SAT. I have a great keyboarding video that I show at the beginning of typing that helps kids understand WHY. Literature teachers have often used this "trick" to engage their students. No wonder so many kids are captivated by great literature. Our students are more visual than ever, using video clips doesn't demean the message, it enhances it. Again no video clip or computer activity or technology could ever replace a good teacher! These are all tools in the belt of a good teacher. We must not steer teachers away from tools because they are "fun." Good administrators (like mine) allow innovation and effective use of entertaining tools in education. I do not respect teachers who play all day and don't teach anything. That is not learning, that is babysitting. I also do not respect teachers who drone on while students drool on the desk! Good teachers engage their students. Good teachers find ways to excite and inspire their students. Good teachers do their best. They know that perfection is never attained. They learn to find peace the self satisfaction of doing their best at a job worth doing. Teaching is a noble calling. You are never paid enough. You are rarely respected enough in a world that elevates power and prestige. But you are carving your legacy in the annals of history through the positive (or negative) changes you encourage in the lives of your students. How do you engage your students? How do you entertain while you deliver a first rate education? A note: I'm giving you an excuse to "research" this amazing education. You've just been given an excuse to go on a great cruise. I've traveled many places and been on quite a few cruises, but this one was far superior to the others I've been on. It was very kid friendly and had no casino. With an adults only, teens only, and kids only areas, as well as family events, there really was something for everybody to do. And the food....mmmmmm. Delish! I could go on, but I won't.